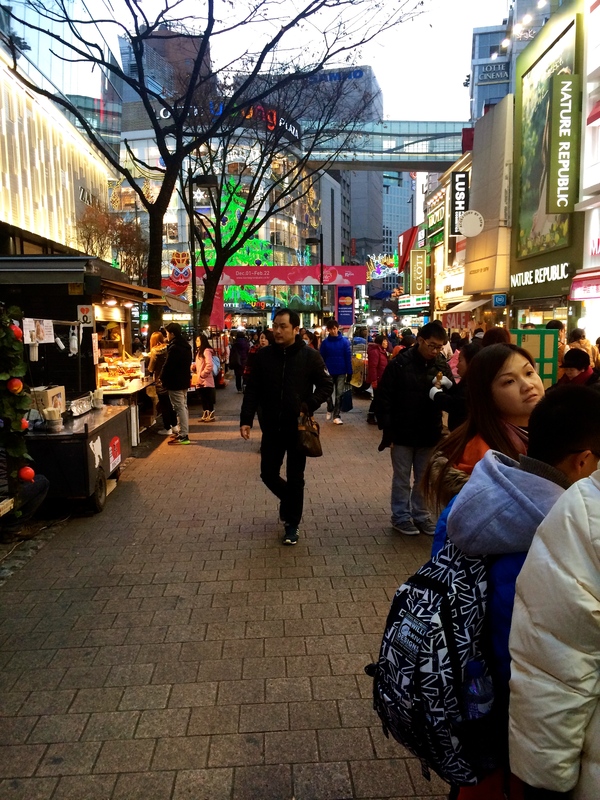 To continue our “Seoul searching”, we head down to Myeong Dong. A shopping area filled with cosmetics, a few department stores, clothing, and shoe stores. 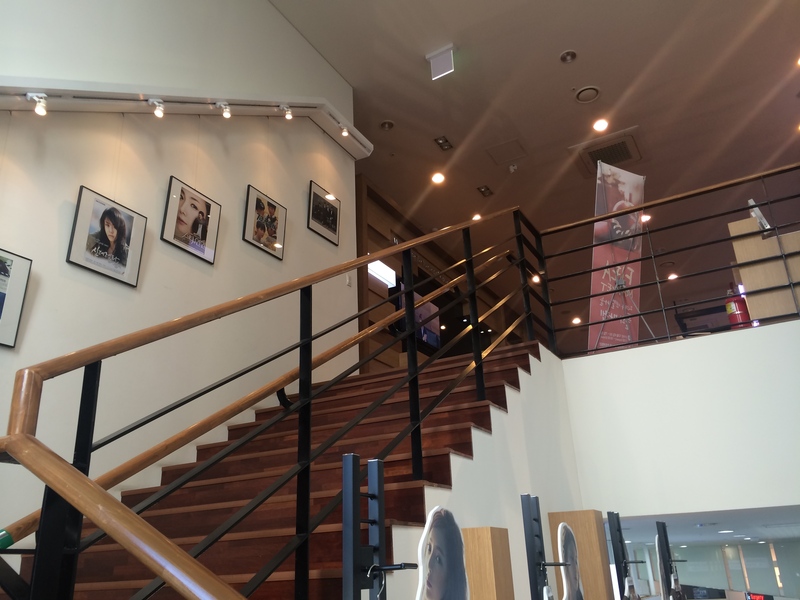 If you’re main goal is to shop for cosmetic products, this is the place to go in all of Seoul. Each time you enter a shop, they’ll be giving you lots of free samples or giveaways. 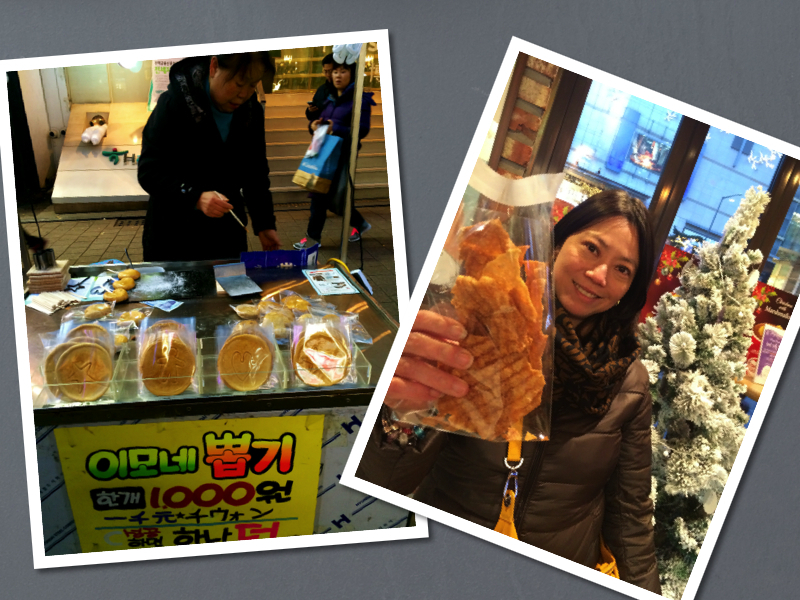 During the time we went, most of them were giving away face masks. 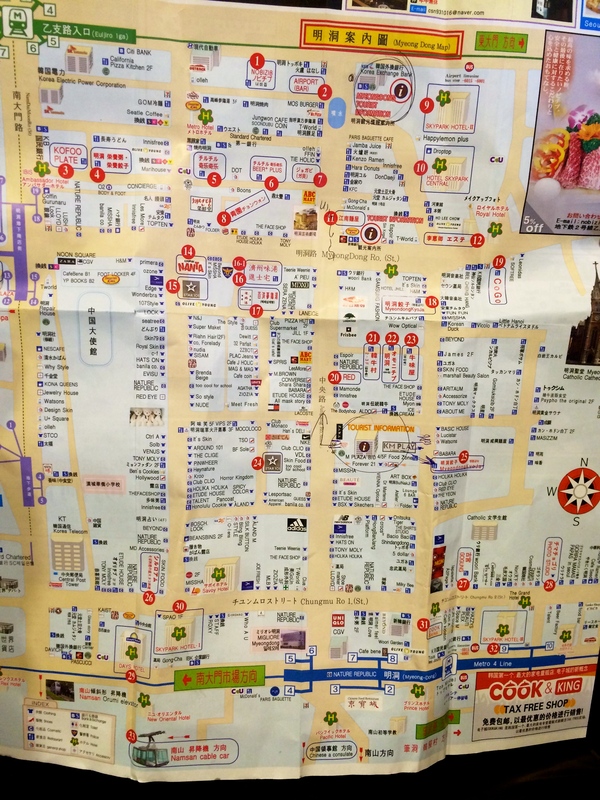 Here’s a map of Myeong Dong shopping area. The place is very tourist friendly. Even has a tourist information center in several places. 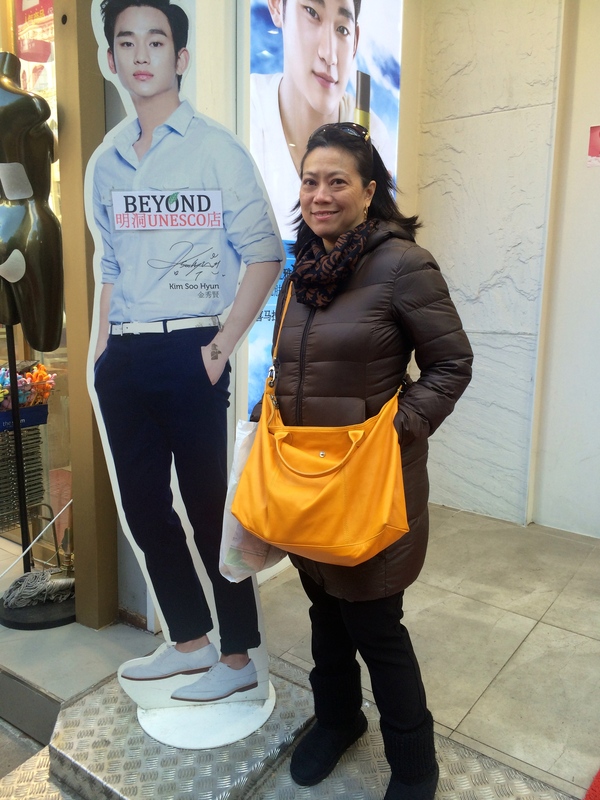 The moment we got off the shuttle bus, our first order of business was to go get my mom an extra pair of pants as she was really cold. We didn’t expect it to get this cold. In the middle of our day, we were forced to buy bonnets and gloves. 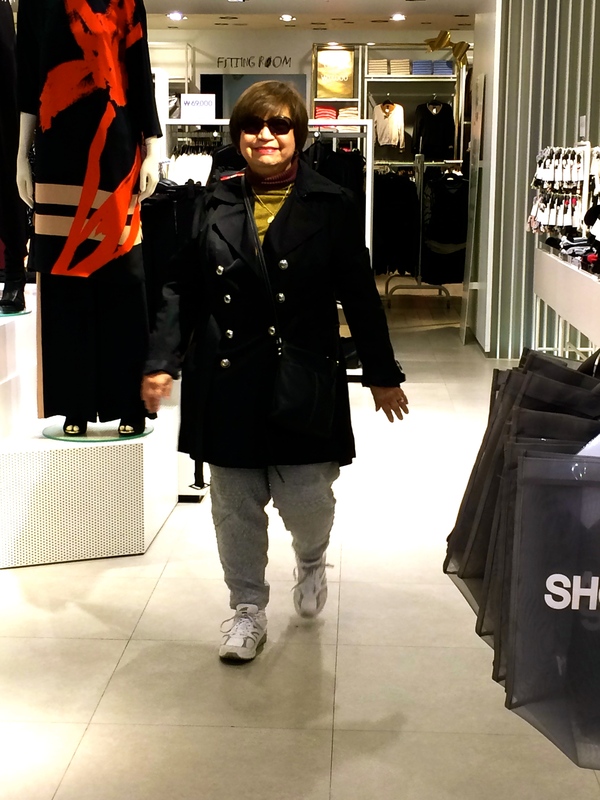 Feeling so young in her H&M trousers. So this is what most of the shopping aisles look like before the night market stands come out. Mostly beauty/cosmetic shops. Ok, so since no one knew me nor did I know anyone, it was time to have a bit of fun while waiting for our mom fit some clothes. 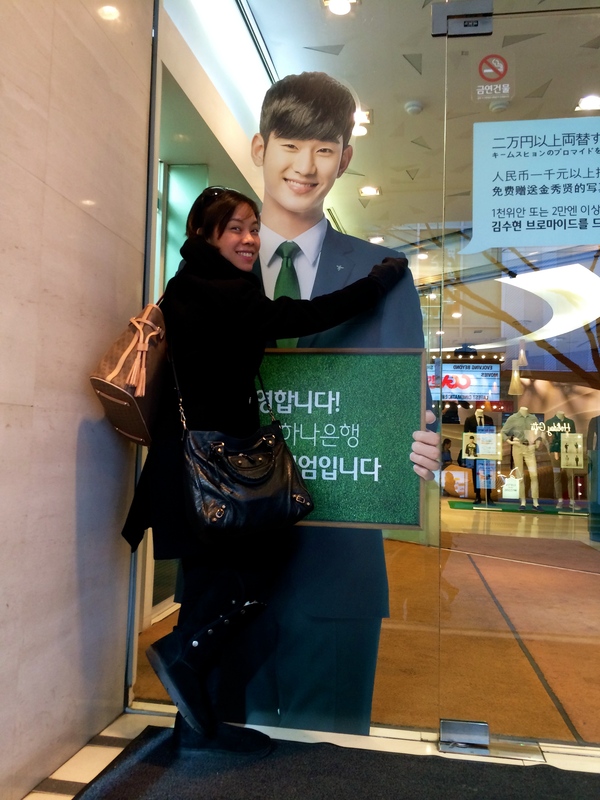 This guy is in one of the Korean tv series (You who came from the stars) I watched. And it’s him again in a different establishment. 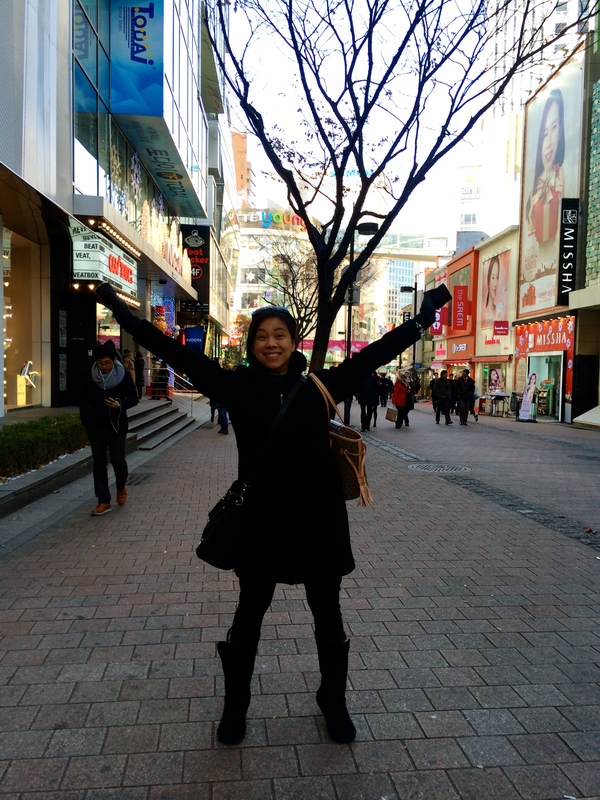 Ok, enough of that, back to exploring Myeong Dong. The place will look crowded when the night market stalls start setting up. 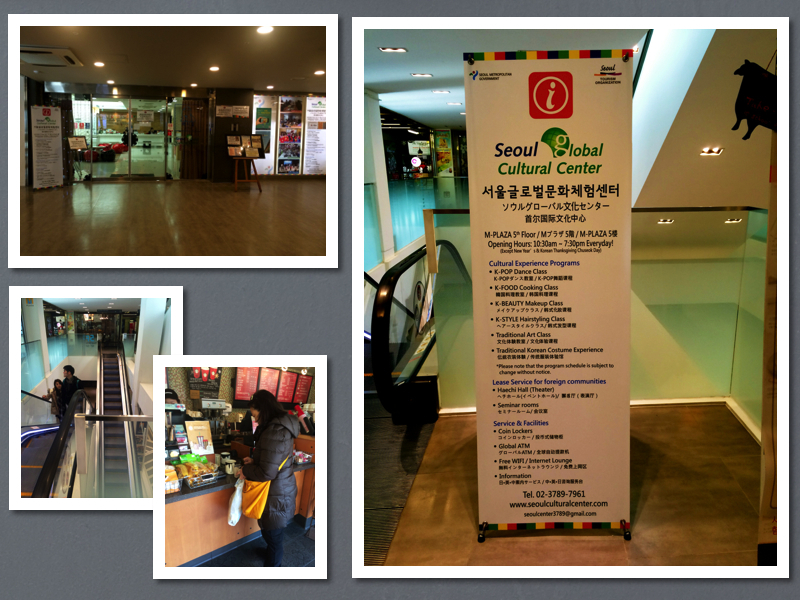 We stopped at the Seoul Global Cultural Center, something like a Tourist Information Center. 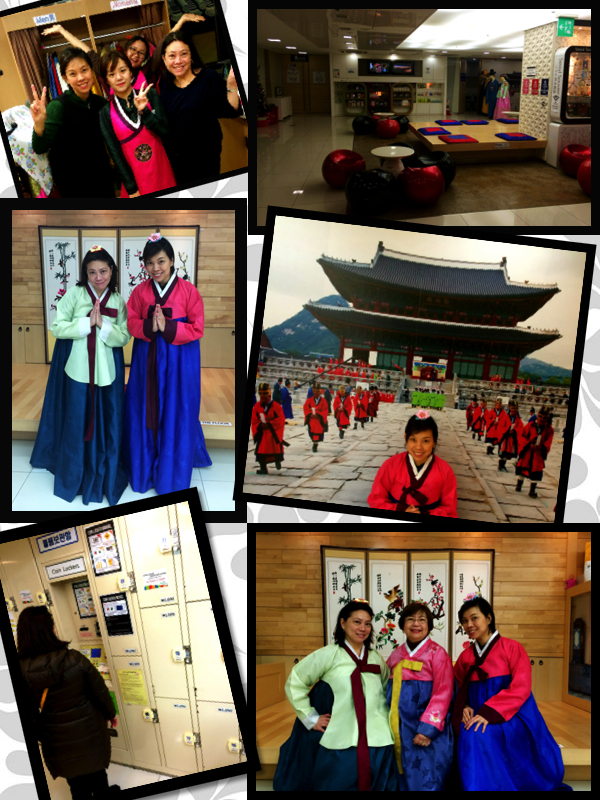 I read up on it and found out this is where we could take a picture in Korean Costumes also known as Hanbok. And it’s FREE! 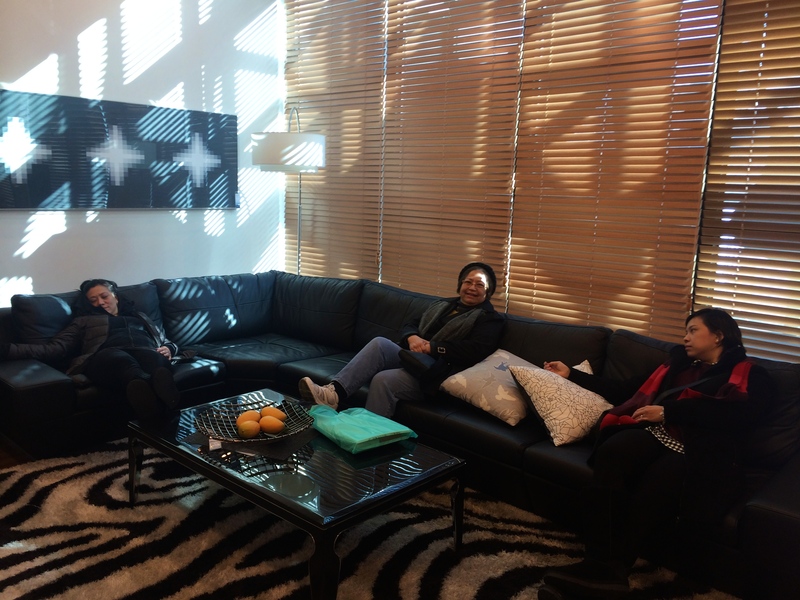 It’s on the 5th floor of M Plaza (with free wifi). You’d have to reserve a slot. While waiting, you can have coffee at Starbucks on the 3rd floor (free wifi sometimes reaches this floor). Or you can opt to eat in one of the restaurants in the same building. We wanted to experience how it was to wear one of these pretty Hanboks. Very friendly ladies of the tourism center assisted us. This was fun! Another cool thing we discovered while we were here was that they offered lockers for rent. Very timely as we were carrying around heavy bags from all those freebies and shopping totes. It made our stroll much more enjoyable. Not just that, they also had some painting classes for tourists. Good thing there was one scheduled when we were there. Something relaxing and a great souvenir. We learned how to paint meticulously on tiles. And again, to our surprise, it was all free! Such a great experience. 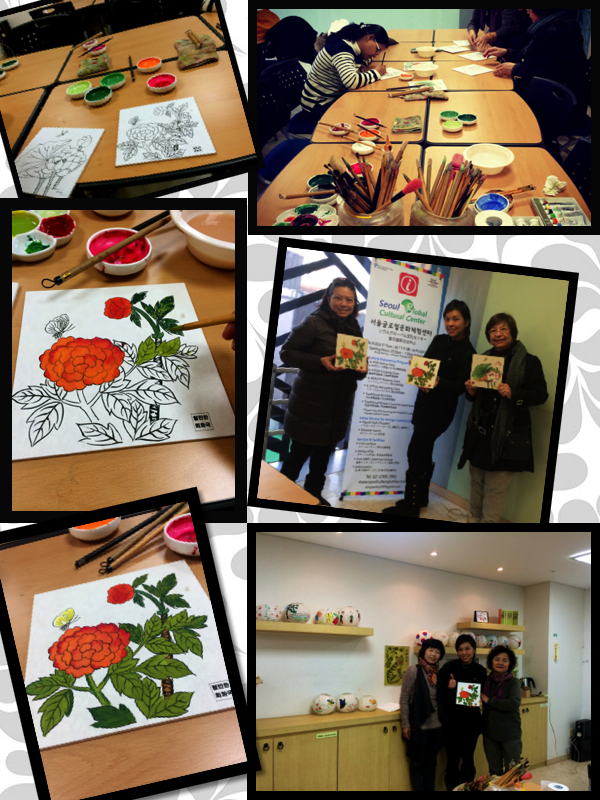 If you’d want to learn a thing or two about painting on these tiles, visit the Seoul Global Cultural Center. It’s also a good way to rest those tired feet. While strolling around, I saw people holding this tall soft serve ice cream..got so curious and tried it myself. Tasted good. But the excitement was more of the challenge of eating ice cream this long. .Another thing we did aside from shopping was go to another tourist information center. They had this “take your own picture” with a “choose your own background” type of thing for tourists. Another thing we did aside from shopping was go to another tourist information center. 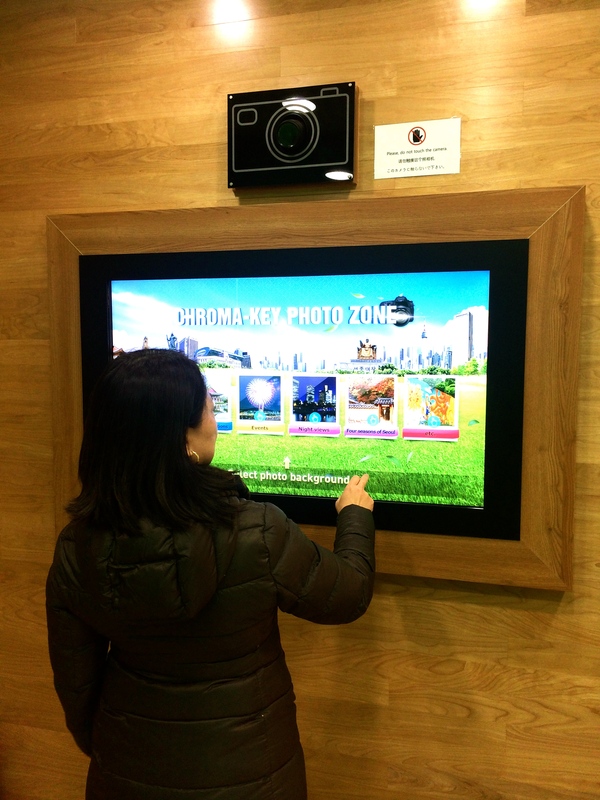 They had this “take your own picture” with a “choose your own background” type of thing for tourists. Here’s how it works…Just follow instructions on this touch screen LCD. Pose on the green background. And the picture gets emailed to you. Here are sample pictures we took. Yes, you may call us crazy! 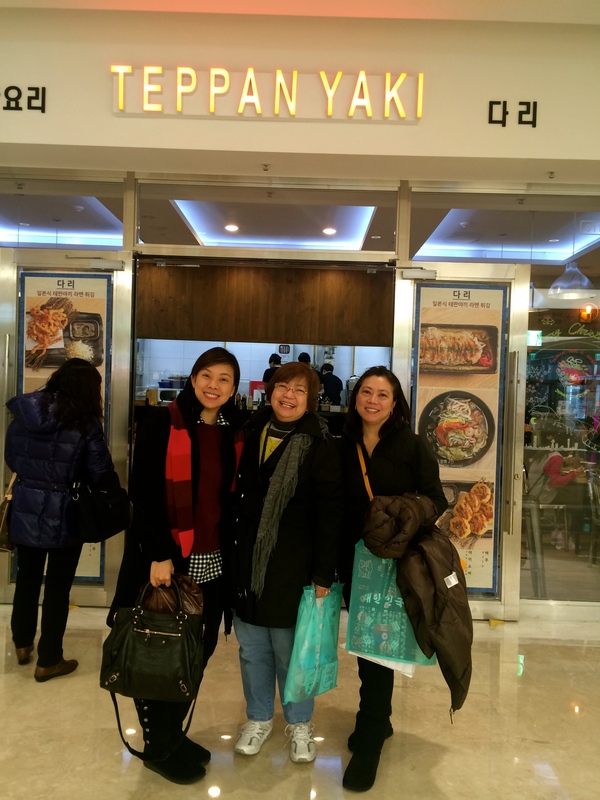 After walking, shopping, eating, doing arts and crafts, and picture taking the whole day, we leave this part of Seoul and go towards the Gangnam District. Yes, we were curious on what that Gangnam song being played on the radio numerous of times was about. 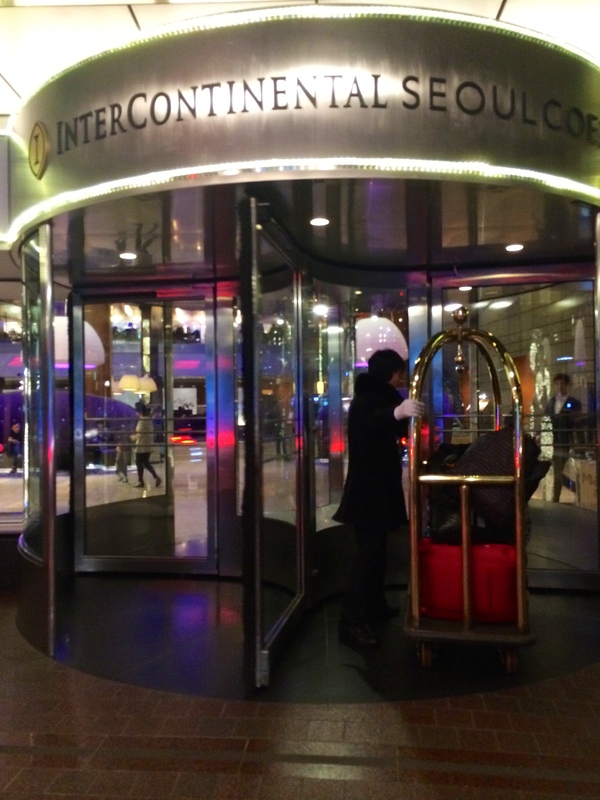 In Gangnam District, we stayed in Intercontinental Hotel COEX. 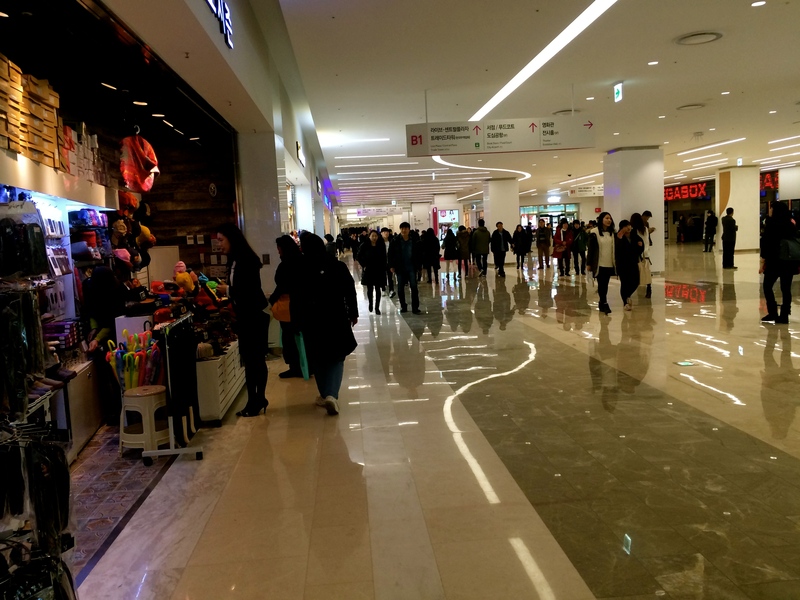 Duty free is at the basement and is also connected to COEX mall and the MTR. It was a long day, so after settling in our hotel, we went out for dinner across the street and called it a night. 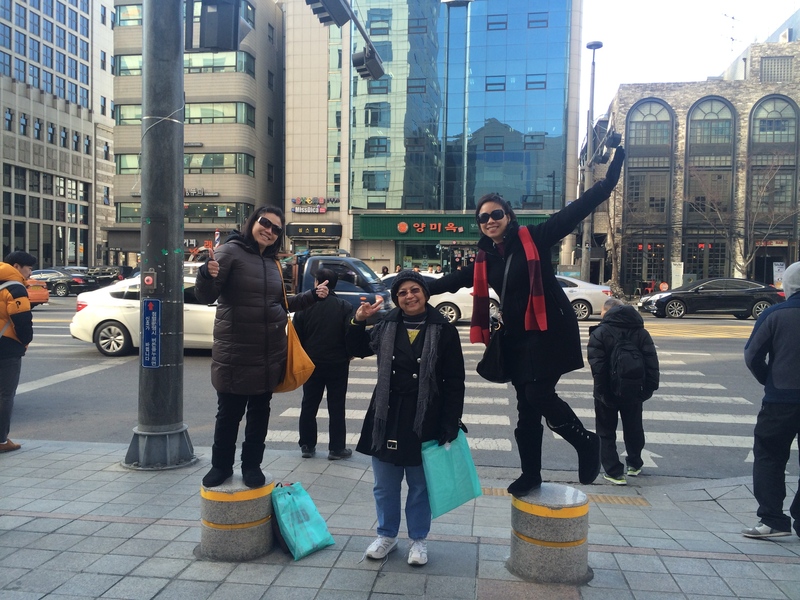 Since Gangnam was a business district, you’d see wider streets, more buildings, and less crowd. 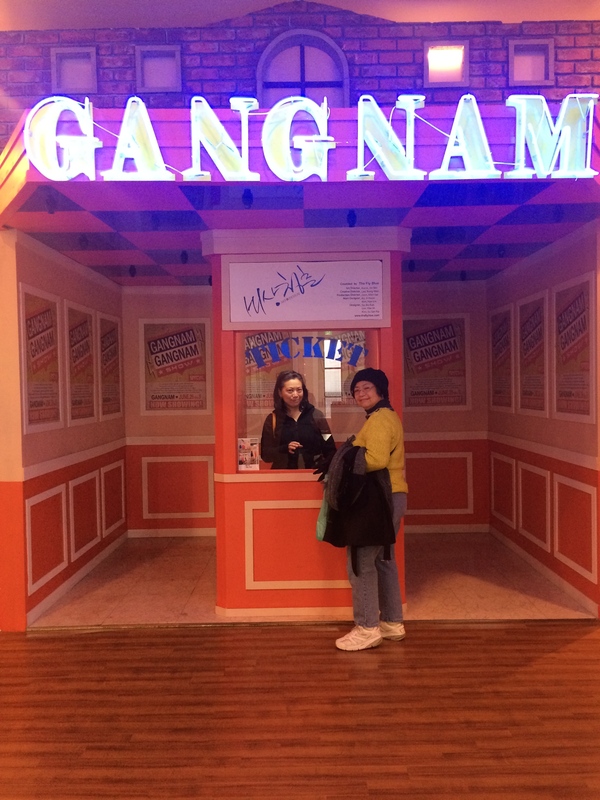 We visited a place that showed what Korea was famous for. 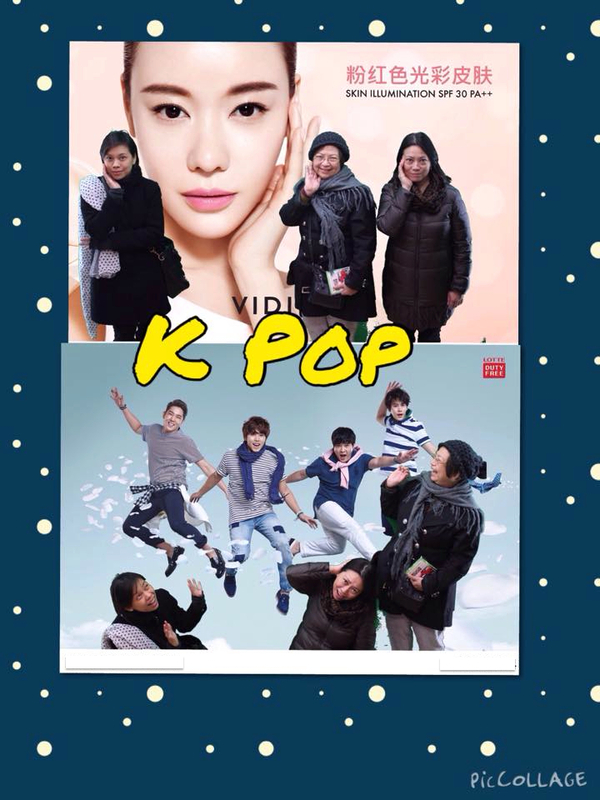 Cosmetic Surgery and Korean Dramas. 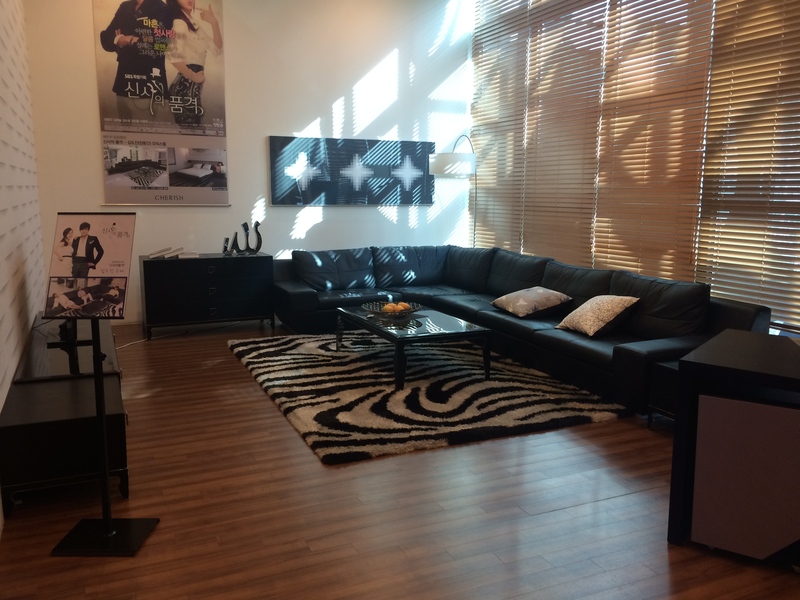 On the first floor were several stalls that discusses information about cosmetic surgery. As you move on to the 2nd floor, you’d see pictures of famous artists. This is one of their popular tv series, A gentleman’s dignity. It’s a light romantic drama/comedy series. 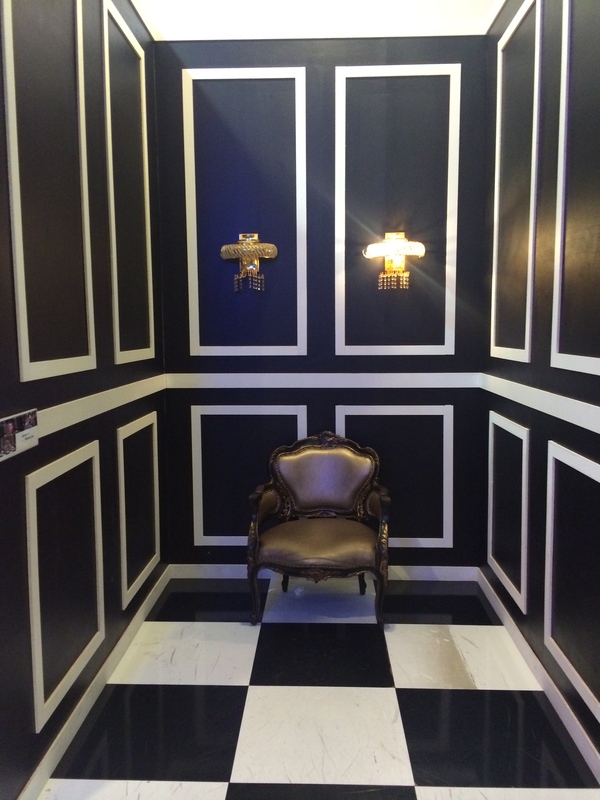 They put up one of the sets in the tv show on the 2nd floor for photo ops. And yes, we did! LOL … Have I mentioned we’re crazy that way? 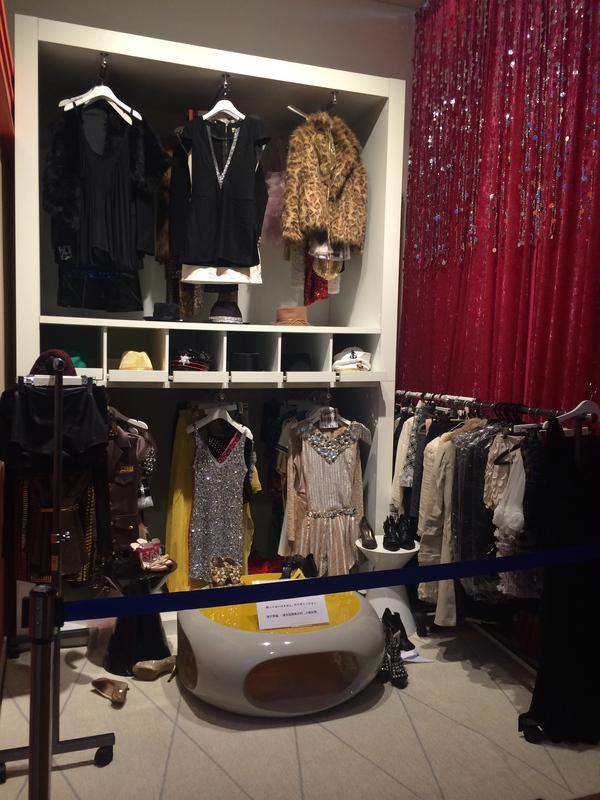 It’s like an interactive tiny museum where you can play dress up and take lots of pictures of any pose you wish. We only had half a day to go around the city so we weren’t able to do much. 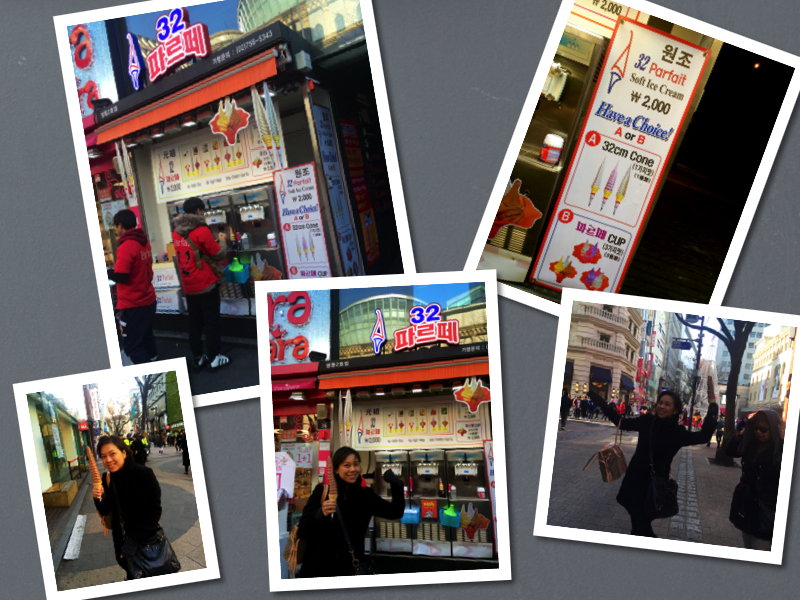 We did do a lot of walking, a bit of shopping and eating in the COEX mall. Lotte Duty free is a bit small and mostly has cosmetics, perfume, and just a couple of shoes, bags, and jewelry shops. As our last stop before heading to the airport. We did poorly in researching where to eat coz we just ate whenever we felt tired. Our trick was to see where most locals eat and true enough, the food always tasted good. 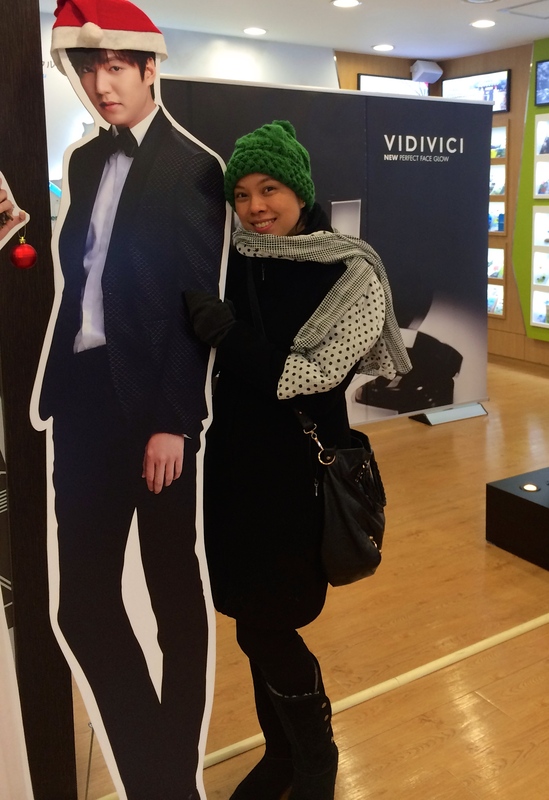 We wanted to go to Nami Island but we didn’t have enough time since it was almost 2 hours away. 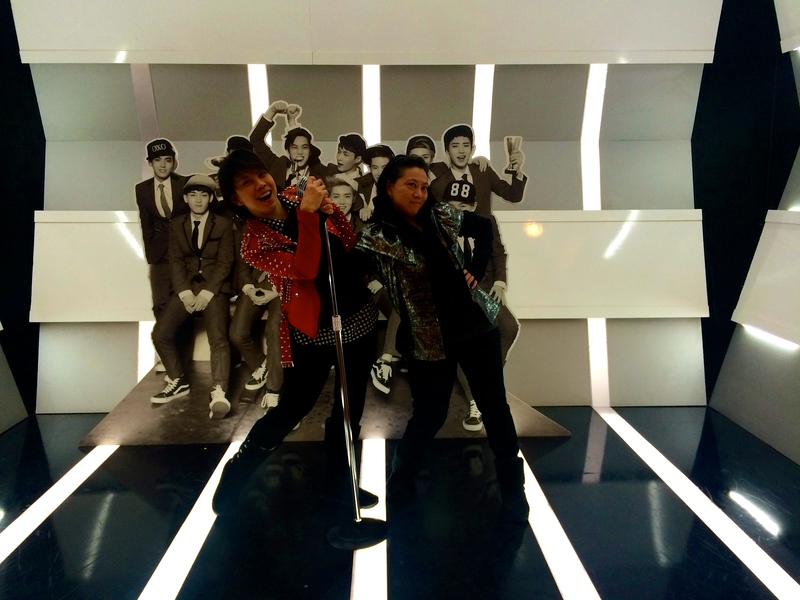 But for sure next time we will make that a priority to see more of Korea. Well, that’s about it. May be a tad bit corny for some but we sure hell enjoyed this trip. 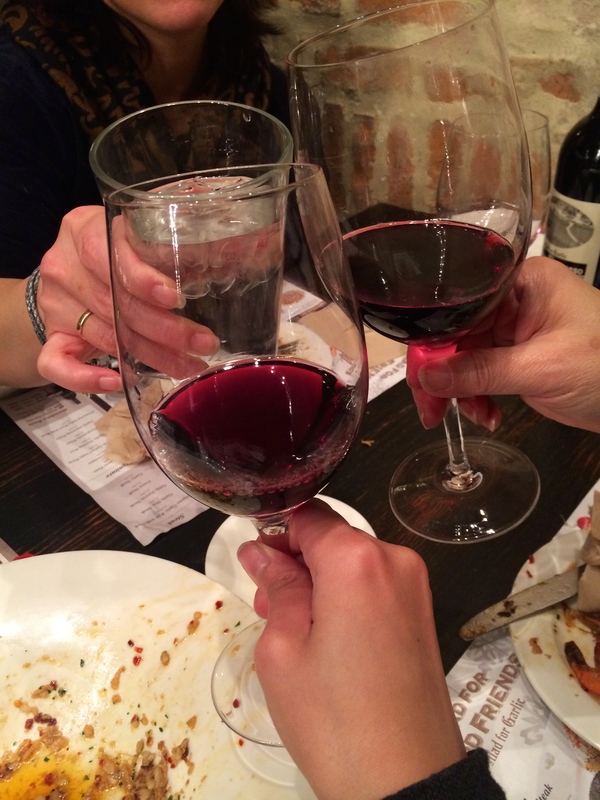 Since the 3 of us live in different countries, we make it a point to meet each other at least once a year. Let’s see where our next adventure brings us. 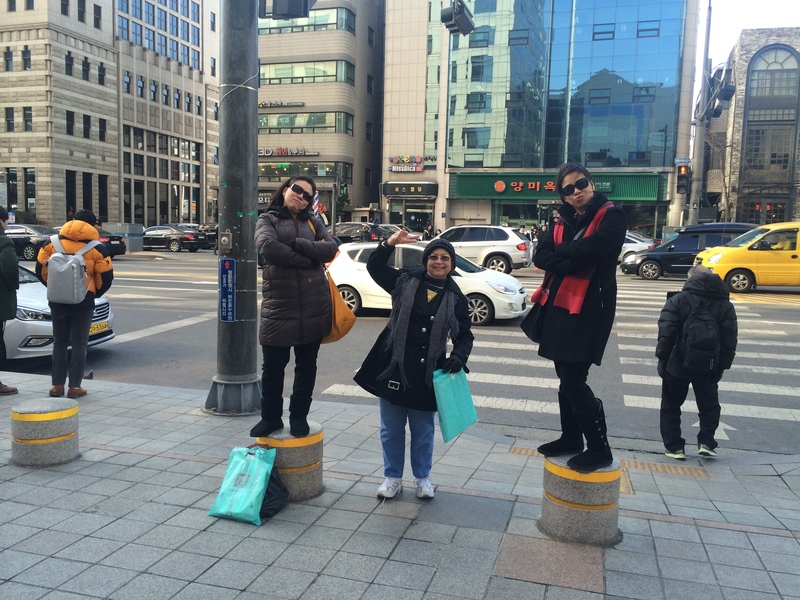 And this my friends, is our little experience to Korea.